Victoria Andrews, the attorney for Muhammad Bazzi and Fadi Mazegi, yesterday continued cross-examining former Secretary General, Momodou Sabally, before the Janneh Commission. 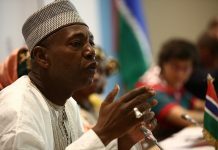 Mr. Sabally reiterated that he was Secretary General from June 2013 to June, 2014 and Counsel Andews put it to him that public servants presumed the former president had interest in businesses in The Gambia. He responded in the positive. Again, Counsel Andrews put to him that most investors who invested millions of dollars went into the Office of the former President. He answered in the positive. “Are you aware of any legal opinion from the Attorney General for the approval of the president?” she asked. “Yes, I am aware,” replied Sabally. Mr. Sabally was further asked whether the former president heed what he owns from people around him and he responded in the positive. He told the commission that if the former president gives you instruction, it is between you and him. According to him, the former president used people like Saul Badjie as shareholders in his business, further noting that the former president was not a loyal friend and he would prosecute people if he wished. Mr. Sabally told the commission that the former president encouraged investment in The Gambia, both local and foreign further stating that he (Jammeh) was particularly interested in energy, agriculture and manufacturing. It was again put to him by Counsel Andrews that the office of the former president was highly involved in correspondences dealing with investors, and he replied in the positive. It was also put to him that investments of the former president included storage facility and farming, and he responded in the positive. The former sectary general testified that he was aware that the former president built a hotel. At this juncture, Counsel Andrews put to him that business interest of the former president competed with businessmen in The Gambia. He answered in the affirmative; adding that he agreed that the former president micromanage the departments. It was put to him that the office of the former president had visitors, both local and foreign and he responded in the positive. “Projects had to go to the office of the former president for approval,” Counsel Andrews told him. In response, Sabally said some of the projects did not go to the office of the former president for approval. Mr.Sabally adduced that everybody who was coming to The Gambia felt that power was centred on the former president, and this was why they went to him to seek his blessing. He added that the former president would approve the prosecution of cases and would tell the Attorney General to do what he wanted. He testified that the former president interfered with issues relating to NAWEC. Earlier testifying, Mr. Adesina Adebesin, Managing Director of Guaranty Trust Bank, was summoned in connection to a transaction which was done on the 26 June, 2015. He revealed to the commission that a transfer of $3,642,000 was made to T.K Exports in Dubai, noting that he had the instruction and the bank statement. He further said that the instruction was given by Mobicel. According to him, Babucarr Jabai and Aminata Sanyang were the signatories, and that Mr. Balla Jassey remained the only signatory to all the accounts. He adduced that the transaction was signed by Balla Jassey. 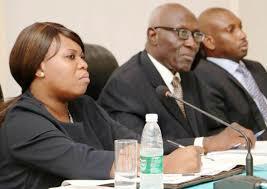 Isatou Jawara an official of the said bank, who sat side-by-side with Mr. Adebesin, informed the commission that the source of funds in the bank statement was inflows from SESAM Informetic, MGI telecoms and Gamtel as well. She testified that the balance was $3.8 million dollars and the transfer was to the tune of $3,693,296.45. She disclosed that the statement covered from 24th December, 2011, to February, 2018. According to her, the dalasi account was opened on the 21st December,2011 as well as the dollar account, further revealing that the Pound sterling account was opened on the 3rd January, 2012, while the Euro account was opened on the 6th December, 2014. The witness further disclosed that she was not present when the accounts were opened, adding that she does not know Sanna Jarju, former protocol officer at the office of the former president. “Are you not concerned that you were parting with such an amount of money?” Commissioner Saine asked the witness. In response, she said she was concerned. At that juncture, documents relating to the transactions were tendered and admitted in evidence. The sittings continue next week.